Yesterday, we reported that a HTC smartphone codenamed as the Ocean Life is coming down the pipe. According to a post on Twitter, the smartphone will come with Qualcomm’s Snapdragon 660 chipset and the Edge Sense technology. Today, images of another HTC smartphone has appeared on the Chinese micro-blogging site Weibo. However, unlike the Ocean Life, it seems to be a flagship device. 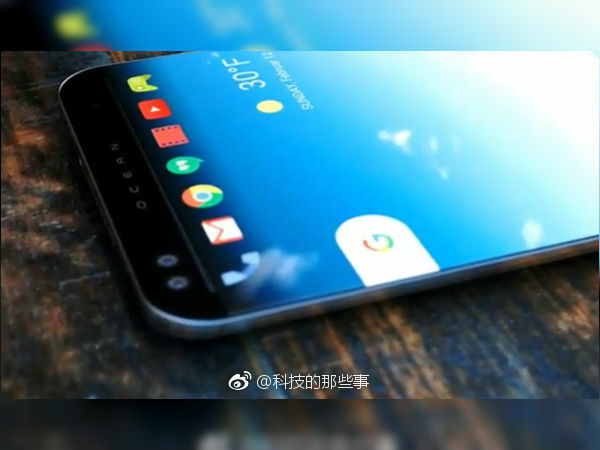 We say this as the renders show the smartphone featuring a bezel-less display. So it is not that likely for a mid-ranger to have an edge-to-edge display. However, we are not denying the possibility of it being the same device. Maybe HTC has decided to put more focus on the design-aspect, rather than the inner specifications. Also, it is too early to say anything for sure. Until we get any indication from HTC itself, the authenticity of these images remain undefined. Looking at the images, you can see the HTC phone sporting a border-less display with no bezels on its sides. Even the top and bottom bezels are pretty thin. Interestingly, the top bezel of the phone bears the Ocean logo. 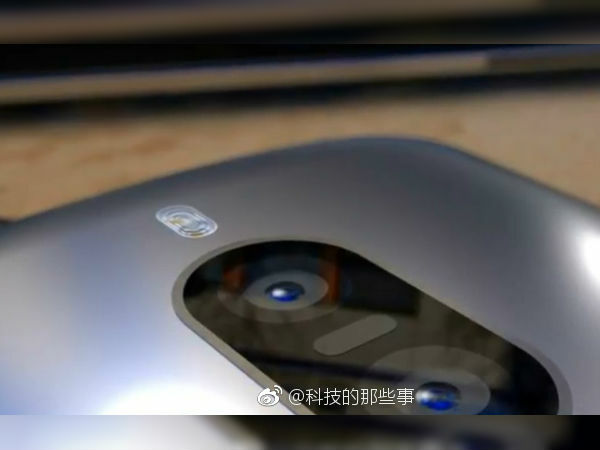 Moreover, a front dual camera setup is also visible. The smartphone’s corners are rounded and it seems to bear vertically stacked dual cameras along with dual-tone LED flash on its back. Unfortunately, other than the pictures, no features and specifications has been revealed. It goes without saying, this is just a leak. So you ought to take this with a pinch of salt. In any case, HTC is expected to launch a new smartphone sometime in October. LG G6 vs. Google Pixel XL: Which one’s better?